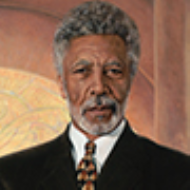 Former Oakland mayor, Ronald V. Dellums, died Monday of prostate cancer at the age of 82. Congresswoman Barbara Lee, D-Oakland, confirmed the death Monday morning, according to the San Jose Mercury News. Dellums served almost 30 years in the U.S. Congress, beginning his political career working on the Berkeley City Council in 1967. He then served in the U.S. House of Representatives from Northern California’s Ninth Congressional District from 1971 to 1978. He was re-elected 11 times. Born and raised in West Oakland, Ca. Dellums grew up in an area where African-Americans migrated from the South during the early stages of World War II. His political activism and efforts in Congress resulted in his being on President Richard Nixon’s “Enemies List,” a list of Nixon’s major political opponents. In addition, he also helped write and pass the Comprehensive Anti-Apartheid Act of 1986, legislation that called for sanctions against South Africa because of its apartheid policy. President Ronald Reagan vetoed it, but Congress made history by using the first override in the 20th century of a presidential veto on foreign policy. Dellums worked as the 48th mayor of Oakland and third African-American mayor from 2007 to 2011. He believed the Oakland Partnership, a public-private alliance with the community, business, government, labor and education that created 10,000 jobs, to be the highlight or his mayoral term. There was also a 28 percent decrease in homicides during his final year in office and crime rates lowered throughout the duration of his term.